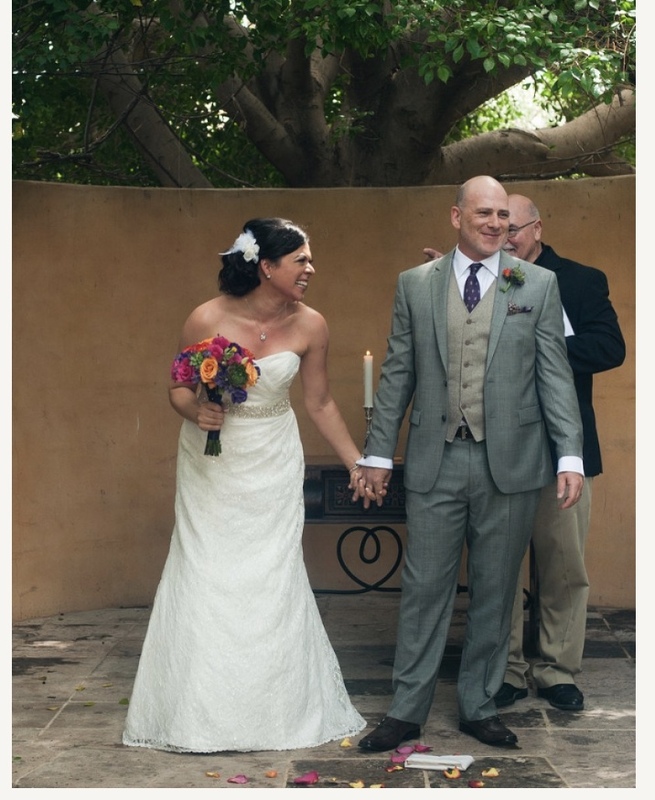 Jason and I were married on September 9, 2014 in an unconventionally elegant wedding on a bootstrap* budget. 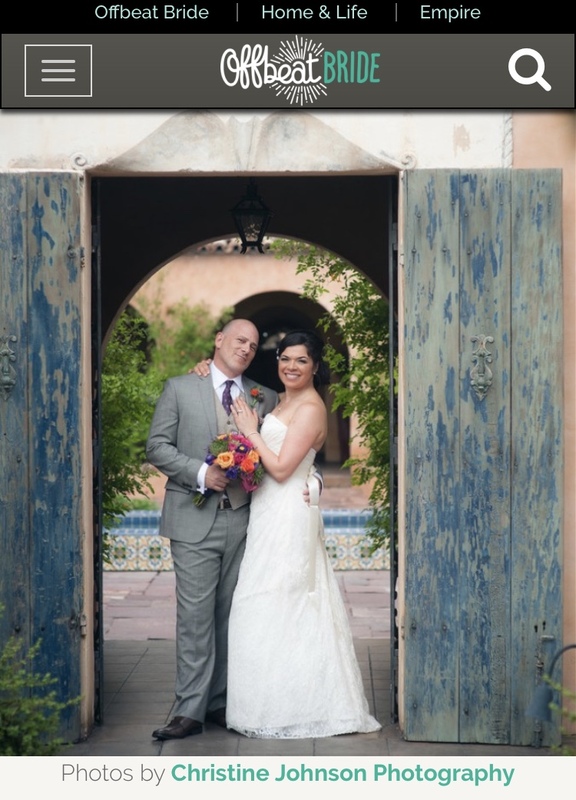 On a April 9, 2015, our wedding was featured in Offbeat Bride with the title “Melissa & Jason know all the tricks for hosting an elegant Phoenix bash on a budget”. We were over the moon thrilled! We found Offbeat bride at a Brooklyn wedding expo when we were living and planning our Phoenix wedding in New York City. We could not hold our wedding in NYC because our budget was less than $10k for EVERYTHING... dress, venue, flowers, food, everything. I knew Offbeat bride was for us because I could see this beautiful wedding for which I had waited my entire adult life - and yet the prices were so steep for anything labeled “wedding”. I got so depressed! THEN, I RALLIED AND GOT RESOURCEFUL. Because that’s what you do when you feel a dream could slip away. Offbeat Bride is the web's most popular and most inclusive website catered to nontraditional wedding planning. As a bride in the over-40 and in the strict budget category, I knew we’d be a part of this community of awesome brides! There were so many creative ideas on this site and I knew I’d be contributing our story within a year. The Offbeat Bride website launched on January 1st, 2007 to support the release of Seattle author Ariel Meadow Stallings' book, Offbeat Bride: Creative Alternatives for Independent Brides. They now have over 150k Facebook followers and have expanded into several different businesses to support the growing Offbeat Empire! And I said I wanted it “drama-free”, right? Find out how we conserved and kept the drama away from this mama! Read more HERE. * Bootstraps clearly vary from couple to couple! ☺️ As New Yorkers and working adults, $10k was a very small price to pay for what we got on a destination wedding.